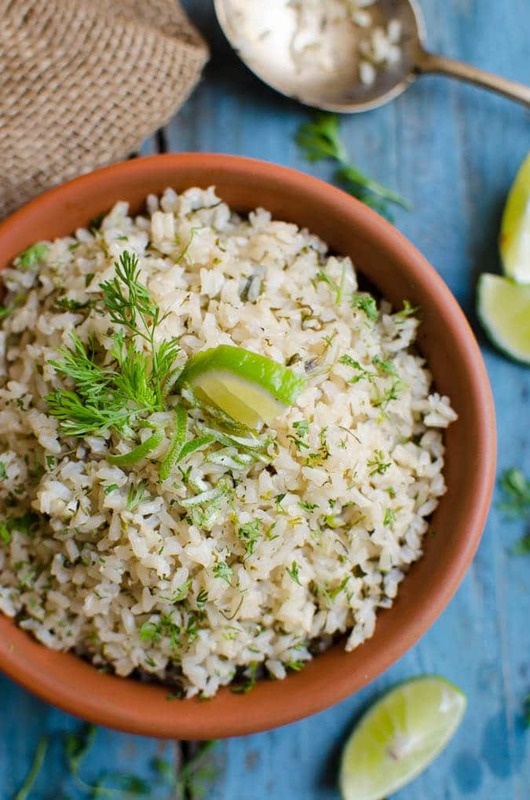 This cilantro lime brown rice is a perfect side dish to enjoy with Mexican dishes. 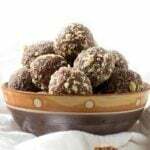 It is low in fat and rich in fibers. Also, it is a vegan and gluten-free recipe. 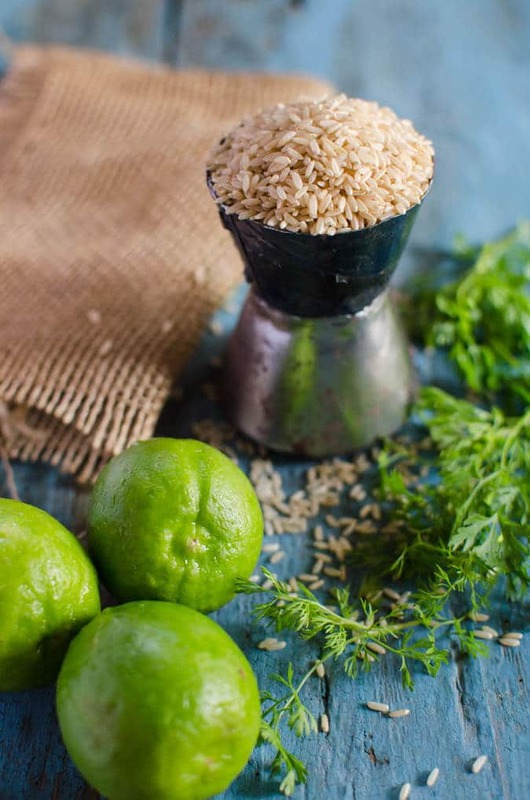 After taking a long break from blogging, I am back with this healthy and nutritious version of cilantro lime rice recipe. 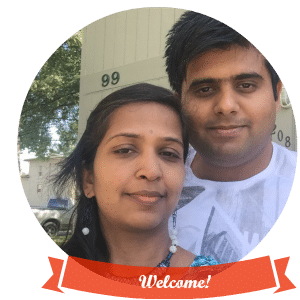 You must have noticed my irregular postings on the blog–it was due to my three-month trip to India. I couldn’t get a chance to fully work on developing new recipes. However, I still managed to get my hands dirty on a few recipes which I will share with you days to come. I wanted to try this recipe for a long time and finally, I could get to it. 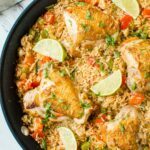 How to make cilantro lime brown rice? 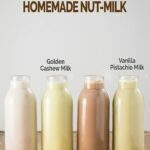 As you would notice, all ingredients for this are listed in the name itself. Sauté all ingredients in little oil for a few mins., add water and cook until the rice is nice and tender. 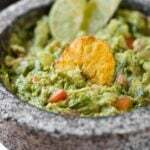 You can enjoy this rice as a side with Mexican dishes such as wraps, refried beans, fajitas, etc. 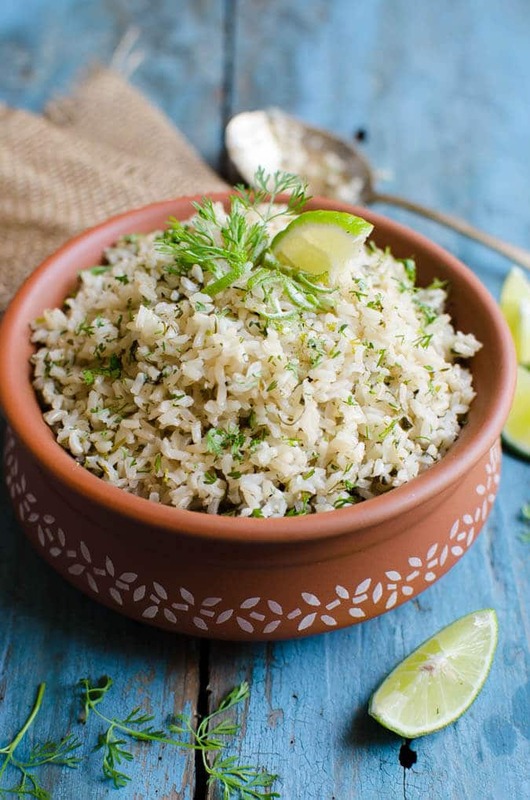 Once you try this cilantro lime brown rice recipe, I am sure you will start loving brown rice. How is this cilantro lime brown rice Healthy? 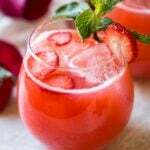 It also contains fresh lime juice. Limes are rich in Vitamin C. They are also known to improve digestion and skin tone. Heat oil in a pot on medium heat. Add minced garlic and sauté until fragrant for about 30 sec. Add cilantro, lime juice, lime zest and brown rice and sauté for 3-4 min. Simmer rice on low heat for about 35-40 min or until rice is tender. Garnish with some fresh cilantro and lime wedges. 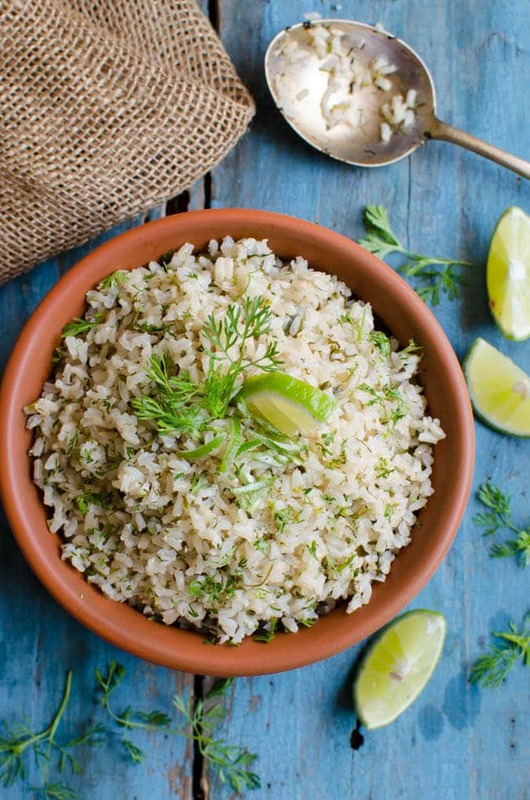 Serve warm to enjoy a bowl of cilantro lime brown rice. I like the little tangy rice. Add more or less lime juice according to your preference. Check the rice every 5 min. towards the end of cooking. Add a little extra water if necessary to avoid burning and sticking at the bottom of the pan. 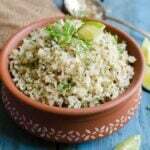 You can use quinoa and make this Cilantro Lime Quinoa. Swati and Tushar, I’m emailing this to myself to remind me to make it soon! We are going to love this rice! Thank you Jean. Let us know how it turns out for you. Such a versatile, healthy side dish! Thanks for sharing! I love cilantro lime rice, and replacing the white for brown rice is a great idea! 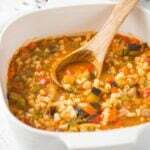 I am always looking for healthy weekday meals, and this will be a great accompaniment. 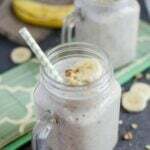 I would love to try your brown rice Recipes​. Can’t wait to try! Do you cover the rice when cooking?